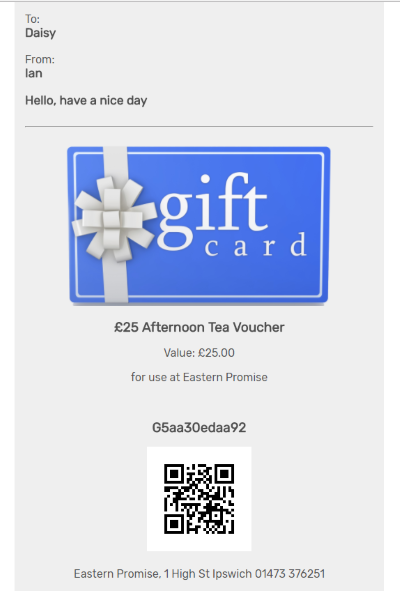 A cloud based system to support and manage personalised gift cards. * If you sell online you use a Stripe account to receive payments, and Stripe do charge a small transaction fee. Sell physical cards in store. The GAINLOYALTY system enables you to offer Gift Cards as well as Loyalty Cards. 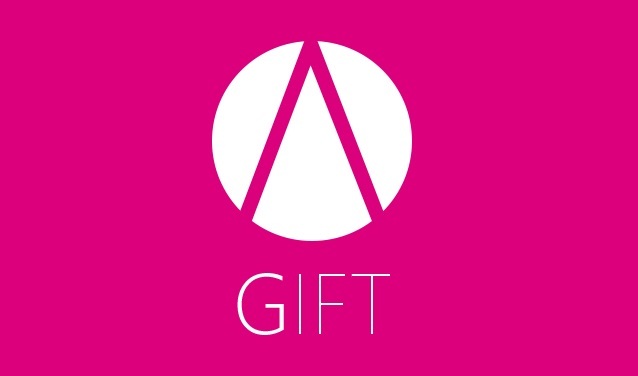 Our Gift Card module makes it easy to offer your own personalised Gift Cards. 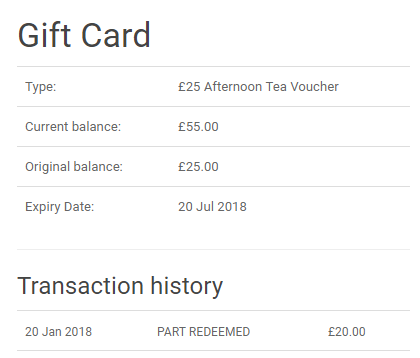 You can set up templates with different values and expiry dates, then simply tap or scan a card to initialise it, and if the customer wishes you can even add a personalised message for the recipient which will be shown when the card is redeemed. The GAINLOYALTY gift card module works as part of the overall GAINLOYALTY service. Get in touch with us to discuss your ideas and see if we can help. Whether a customer buys a physical gift card or an e-card, you will be able to scan the card at the point of sale in the same way using our GAINLOYALTY app. Like loyalty cards, you can order gift cards that work with contactless NFC chips or by scanning a unique barcode. And of course, you can have your cards printed to your own design. 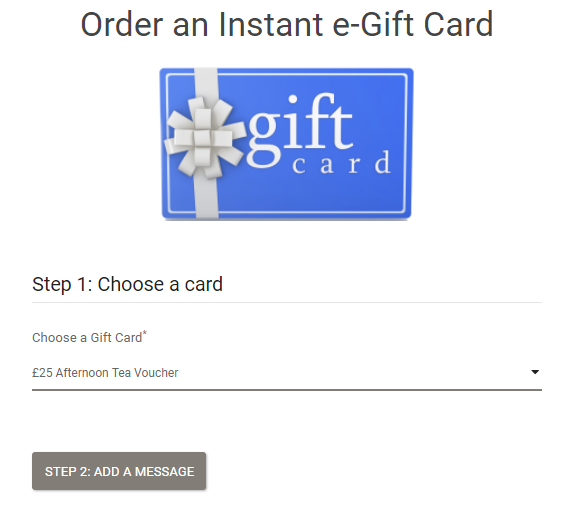 As you issue a new gift card you choose a template and then (if you wish) you can attach some personalised information including the names of the "giver" and "receiver" and a personal message. This information will be displayed when the card is next scanned which can be a nice touch for some situations. As well as selling cards in store, it is straightforward to add a facility to your web site to take on-line orders which you can then fulfill. It just takes a few lines of HTML code to set this up. To take online payments all you need to do is set up a Stripe account and we will use that to make sure that all payments go directly to your bank account. e-cards can be ordered online within your web-site and delivered by email straight to your recipient (or to yourself if you prefer). A customer can choose from one of your templates and add their own personal message as well as specify the address for the recipient. It is straightforward to add the facility to your web site to take on-line orders. It just takes a few lines of HTML code to set this up. The code is shown inside your GAINLOYALTY account. Embed this feature in your own web site to let customers check their balance. Available for both physical cards and digital e-cards. As you would expect, you can redeem a card in full or just charge part of the value. You can also enable top-ups, so that a card holder can purchase additional credit for their card. Each card carries with it a full audit trail of each action carried out so you can clearly check who was logged in, what happened and when in the event of a customer query.